We draw on influences from many different places. We are heavily influenced by personal experiences. Songwriting for us is a very cathartic and personal way of expressing ourselves, which is absolutely vital for us to move forward and grow as people and as a band. As far as outside influences go, we are inspired artistically by the likes of El Lissitzky, Kate Bush, Manfred Mohr, Adrian Borland, John Berger, 23 Envelope, Rikk Agnew, Simone de Beauvoir, Daniel Miller. Just to name a few. What is the scene like in London these days? The scene in London is a bit sparse at the moment. There are a handful of long-standing club nights that cater to our sound. When it comes to live gigs, London is really lacking. I’ve lost count of how many times touring bands skip over the UK. At the moment, we’re very isolated when it comes to touring bands stopping here. Local bands within this scene are also absent. There are bands within the UK that we do enjoy quite a bit – Transfigure in Newcastle, Fehm in Leeds, Soft Riot in Sheffield, Nothing Existed in Colchester. There doesn’t seem to be a unified scene in London, everything is a bit scattered. What can you tell us about the music video for Sister Flux? Rachael and I shot and edited the music video ourselves in a couple of days shortly after we recorded our first song ‘Sister Flux’. We’re huge fans of architecture and the Brutalist movement. London has had a huge influence on our music. We tried to capture the mood of the city’s influence through our point of view. The first song and the video were both finished in about a week. Sister Flux was the first song we had written together for this project. It was the seed for the entire project to grow from. 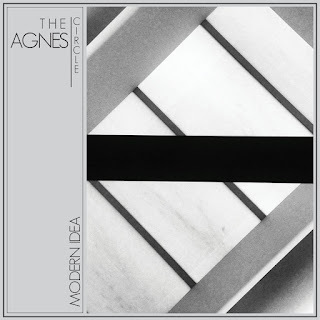 After Sister Flux was written, we began working on our debut EP, ‘Modern Idea’.